Neat cards handmade. They are a 10.5 x 15 cm size card. No message inside so use them for any occassion. Choose from three different designs! 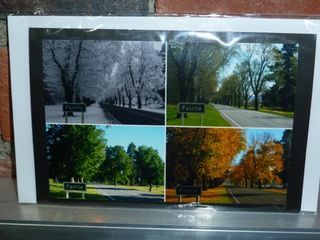 This a is stunning photo card with photos taken by a young Fairlie woman.